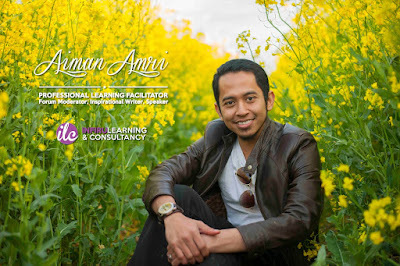 Aiman, JPA ke MARA lagi bagus? Aku nak pilih mana ni ek? Bagi cadangan sikit.. Mana patut aku ambil? Apa kelebihan JPA or MARA? Some of the most question that I've always been asked (by SPM 2009 leavers, of course!) Well, because of soooo many person asked me the same question again and again.. Even me, a human! Do you think I can be like a computer, recorded all the answer and when people asked me, I just need to replay? Haha..
Well, I not blaming you guys.. Never blame the others! It's kind of my mistake, because never take alert of this. I should consider about others! Not everyone know about these.. Now, let's begin! If you're applying JPA, you need to consider about something. JPA will be applied by all the races that live in this beloved country. Malay, Chinese, Indian and others. So, as you can guess, there will be much competition compared to MARA. There will be only Malays that were applying for MARA. So, for MARA, less competition.. Besides that, during the interview, it's not the academic that only matters. According to my brother, Akmal during the interview, there will be many kind of factors that matters. Firstly, they will look at your academic result first. Then, the ones that passed the requirement, will be judge by their coccuricular activities. Then, during the interview! So, you need to prepare yourself for the interview. One advice for you all, Be Confident! In terms of interview's difficulty, I think MARA and JPA are quite the same.. Don't bother yourself by thinking and guessing, which one is easier..
For the ones that applying to further the studies in oversea, you need to consider this! For JPA, it's a little easier than MARA to able yourself to fly! For your information, whenever you want to further the studies in oversea, you need to make a preparation called A-Level. It's the same level as Matriks, Asasi, Foundation or Diploma. It's just a preparation before going to oversea. To 'recheck' that if you're really suitable to fly. First, you do it in 24 months. Second, you do it in 18 months. If you failed your A-Level, then you failed to fly. Understand? For JPA, why I said it's a little easier because the point that JPA wants is lower than MARA..
JPA wants 12/15 while MARA wants 13/15. If you don't have any idea about what I'm saying, let me make it clear.. Hence, for example, if you scored 2A and 1B, your point will be 14/15. Now you know what I mean from before right? For JPA, my brother Akmal told me that JPA's management is very good and efficient. So, it's like he said I guess. I'm not really know about JPA's management. Maybe he's true. For money, JPA give a greater amount of money rather than MARA. I'm not really sure how much is that 'greater'. But I just know, it more than MARA. Furthermore, after you graduated from the university, of course there will be a deal between you and them. I hope that you make the right choice for this one. Once you've choose it, after the closing date there will be no turning back! Some advice, do the istikarah prayer. That's all that I know about the advantages and disadvantages about MARA and JPA. I'm sorry if I didn't give enough information about this and if I give a wrong information, please inform me quickly! I don't want to give a MITOS! sgt2 membantu sbb skrg rmi buntu nk pilih ape. jpa skg cm 55%/60% for bumiptra n 45%/40% for non-bumi. i found the information quite useful to the SPM leavers. but um, just to widen the horizon, (and thank you for pointing out a-lvl, as it gives me the chance of explaining it further on the preparation programme), we also have AUSMAT and SAM (which, one way or another serves the same function as matriculation before going to Australia), and also IB (international baccalaureate). I mean, either u r JPA or MARA sponsored student, you don't actually have to take A-Level, but in my personal opinion, if u like exam-oriented programme, then A-Level definitely is for you. But, IB is more of a continuous assessment for the whole 2 years. Generaly, we have lots of preparation programme, but I am pointing out the 3 most common prep. programme. It depends on which one your sponsor will give u, but it doesn't really matters what prep. u r doing, just give it u best shot and strive really hard for it... Sorry if my info is somehow wrong or quite inaccurate, but I am just sharing my point of view. hee~info byk benefit yaww aiman ! hee. best of luck for ur choose;engineering in France ! hee~semoge dpt FLY pegi FRance ! amal hayati : u're welcome! pilih elok2! kakak saya n abg saya pun due2 amik A-Level.. so,, saya byk tau pasal A'level je.. hehe.. lack of information.. thanks for the additional info! really2 appreciate it..
chu-are.. oit.. nyibuk lak. bar uabis pmr je..gi wat homwork nuh.. haha.. anyway, thanks..
mira : hmm.. welcome.. thanks tau pasal france!! insya allah aku nak pegi france! 5 tahun blajar perancis.. mestilah nak merasa! betol ke jpa nk 3krdit jek? nak dapat jpa or mara u, bergantung pada result n kop nye interview nanti..
yang aku tulis tuh, itu untuk program a level.. exam sama ada ko layak atau x untuk fly..
HAHAA, kata org nyibuk pun, ckp thanks jugak ;D haha poorraaaa . dah org ucap tahniah.. kene la ucap teerima kasih..
hey,r u in france now?? ?congrats on ur successful application to france!hm,r u doing ur foundation in france or in bangi? ?hope to see u in bangi soon..
im under mara still doing my preparation studies using trial spm 2010 result. so, i just want to add some recent information under mara. From 2011 onwards, if u get 3.5-4.00 u must pay 10% not 1%. Last year, it still 1% but this year it has increase to 10%. Last year,2010 it just 1%. So make a wise choice people... Good luck!! but remember, kalau result gempak abis baru minta jpa..